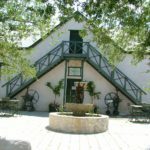 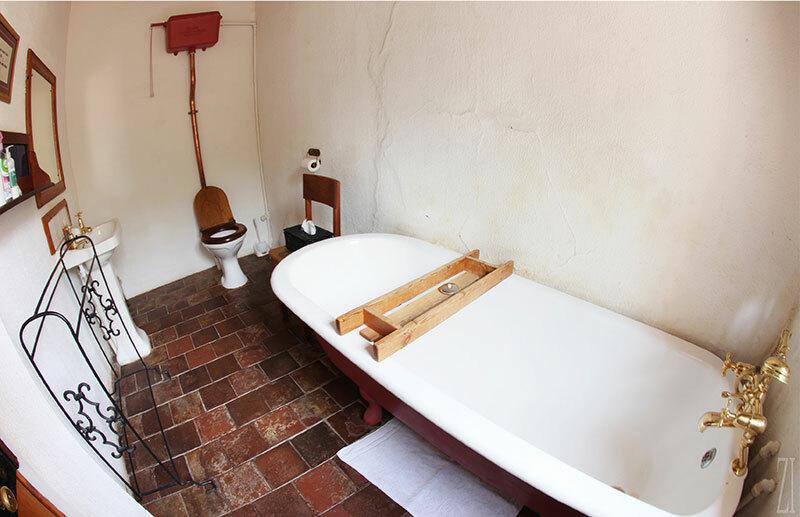 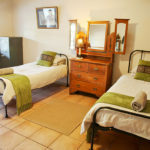 The Clydesdale stables was built in 1880 and has been converted into 4 luxurious double and twin rooms – each with its own en-suite bathroom. 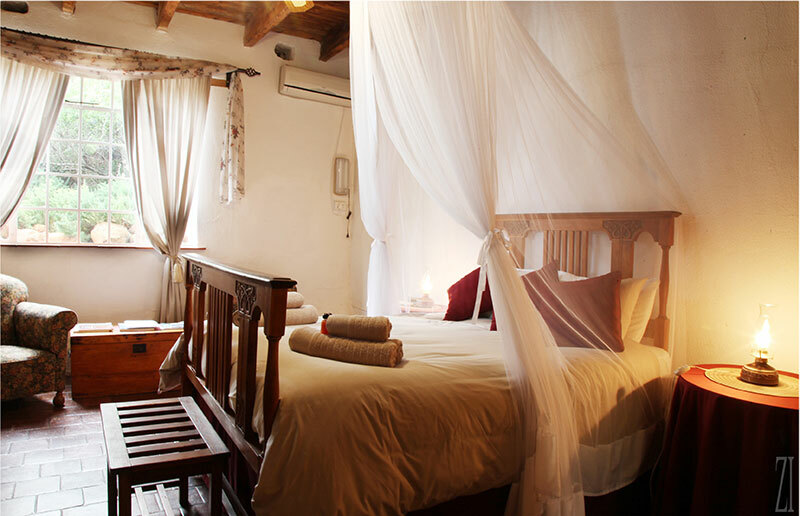 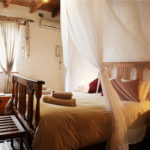 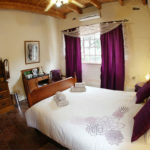 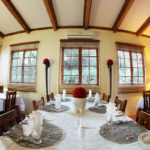 The beautifully furnished rooms are air-conditioned and tea & coffee making facilities are available. 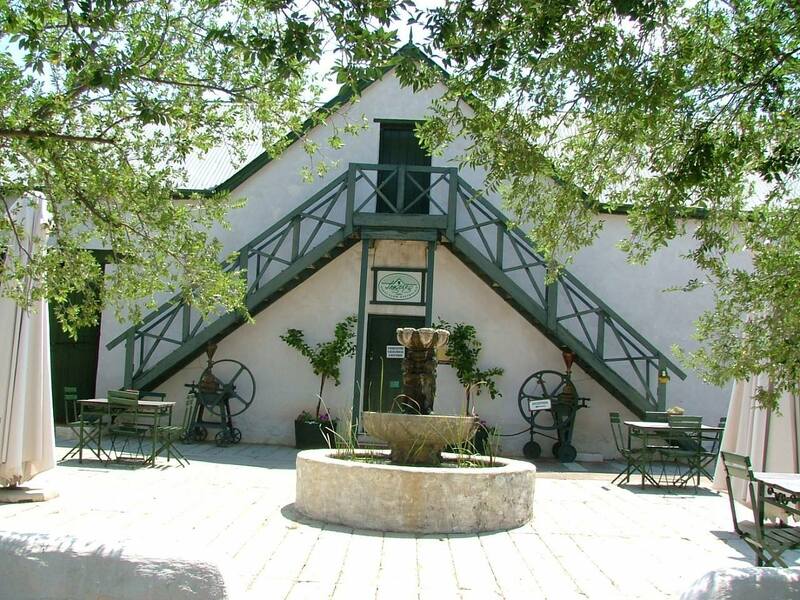 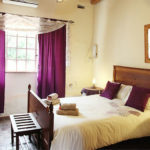 A stay in one of our Stables is an absolute must for the romantic at heart. 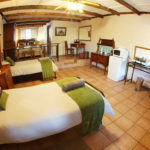 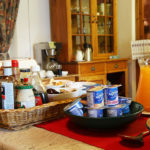 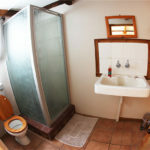 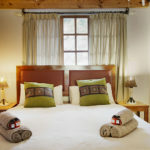 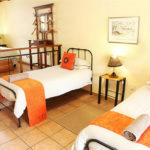 For the family we have 6 spacious, open plan self-catering units with a double bed, 2 single beds and an en-suite shower. 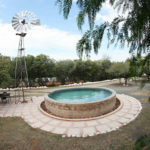 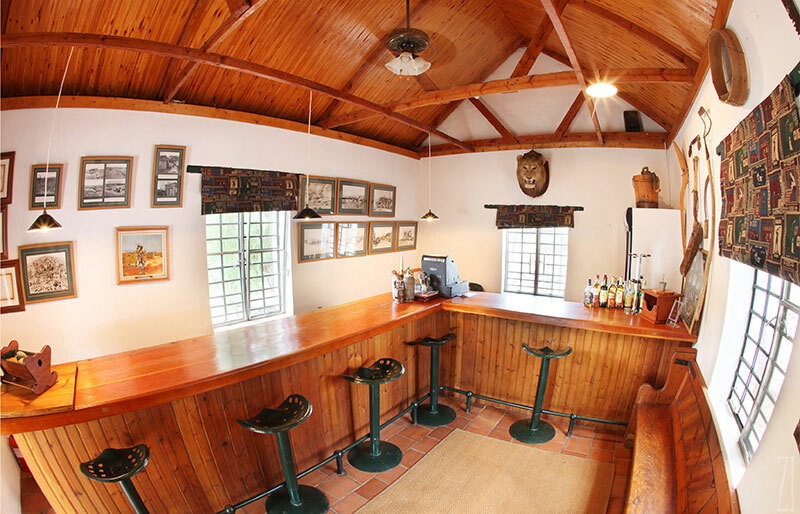 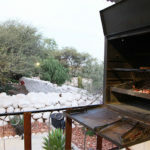 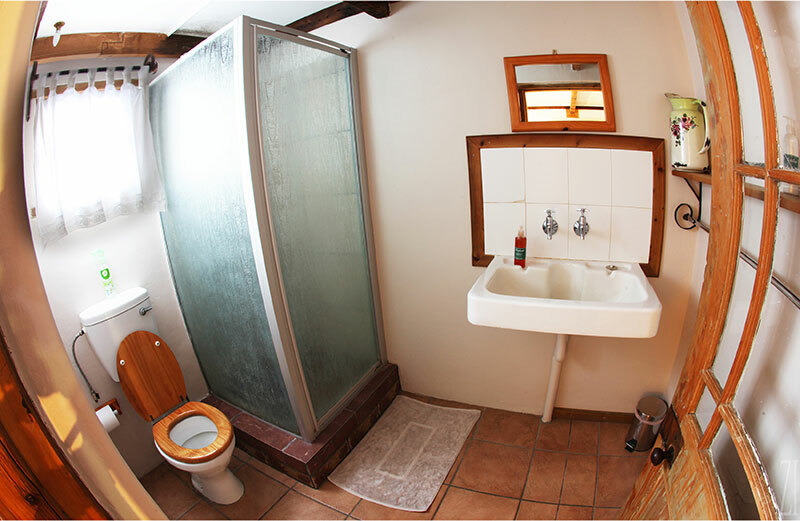 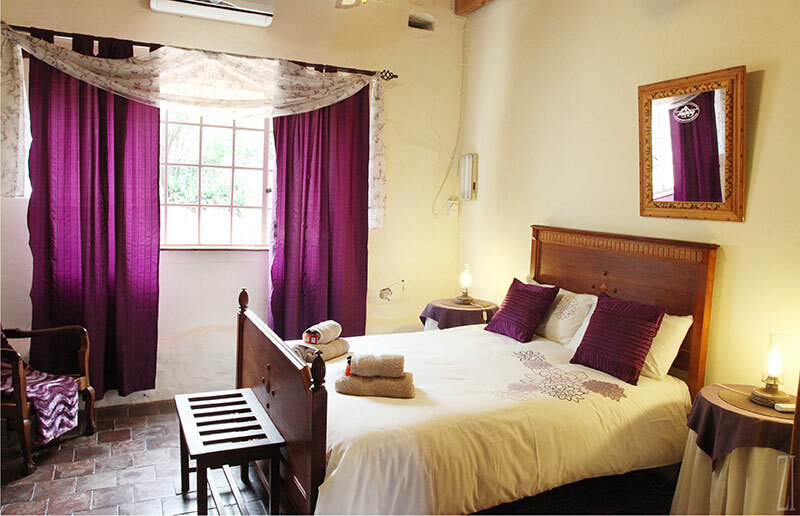 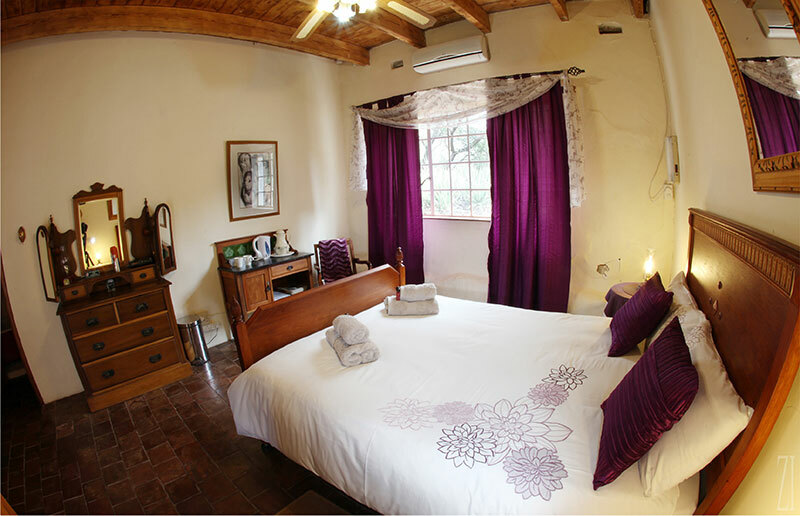 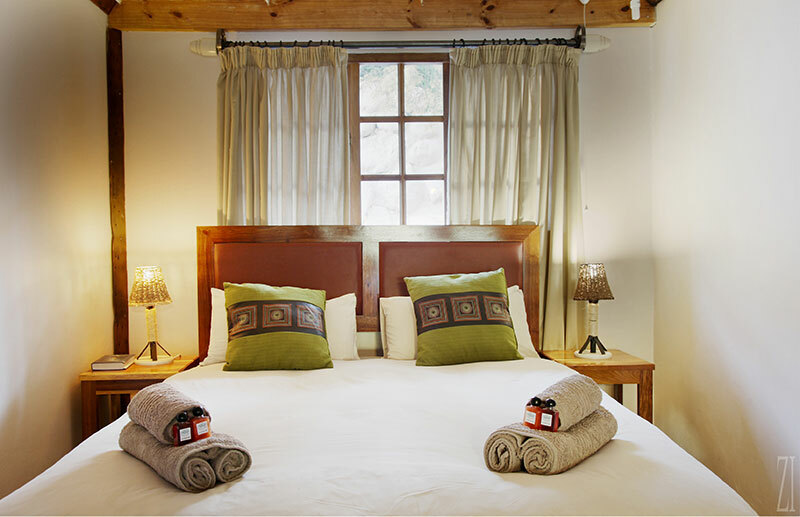 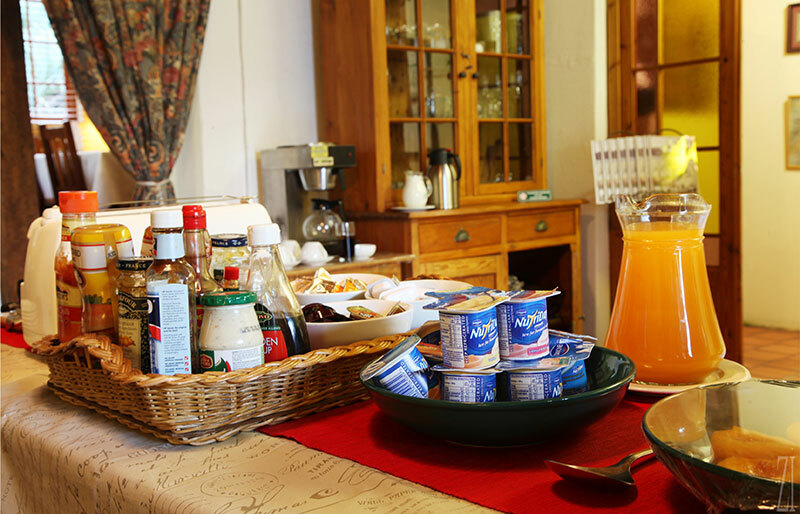 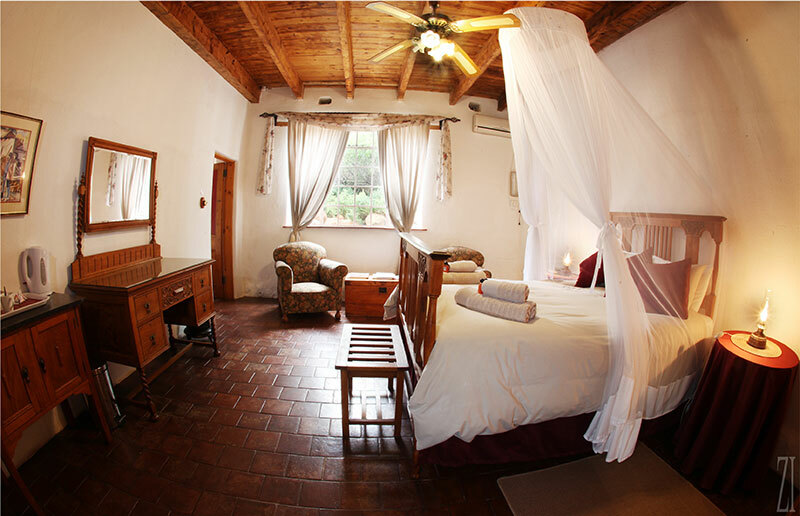 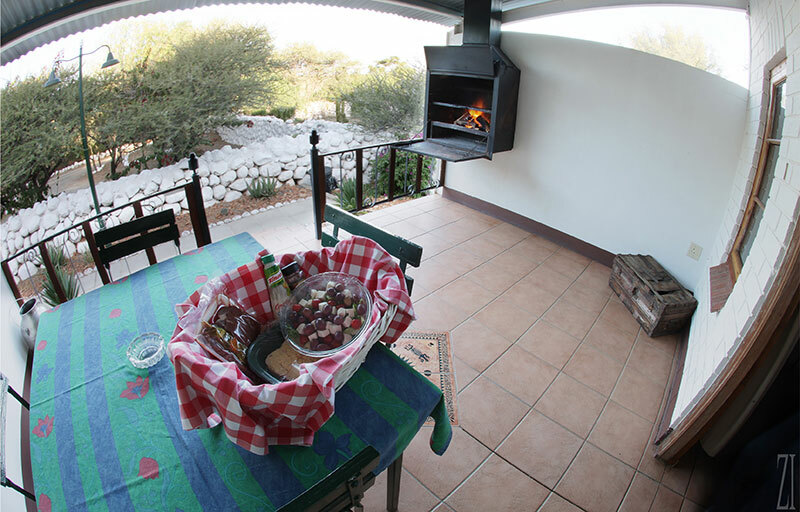 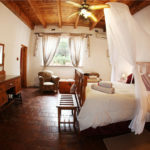 They are fully equipped for self-catering with the added bonus of your own private patio and built-in braai. 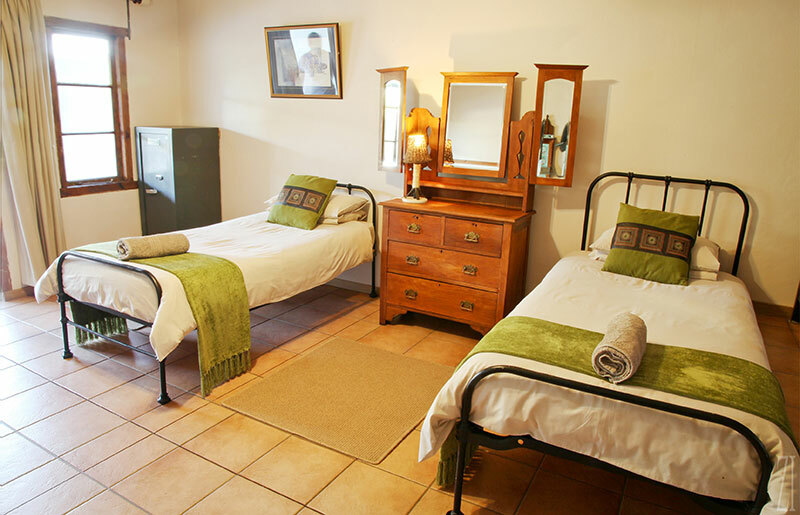 In keeping with the ‘old farm’ style, each unit is also furnished with antiques that remind visitors of a farm of yesteryear. 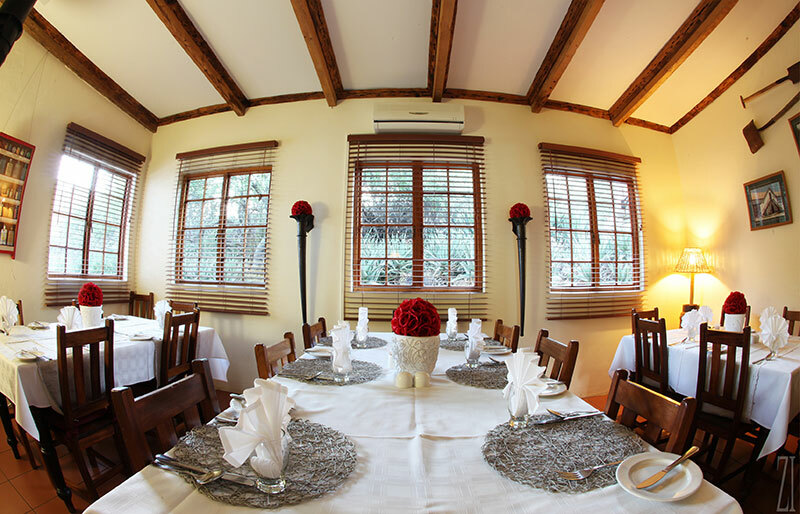 All units are air-conditioned. 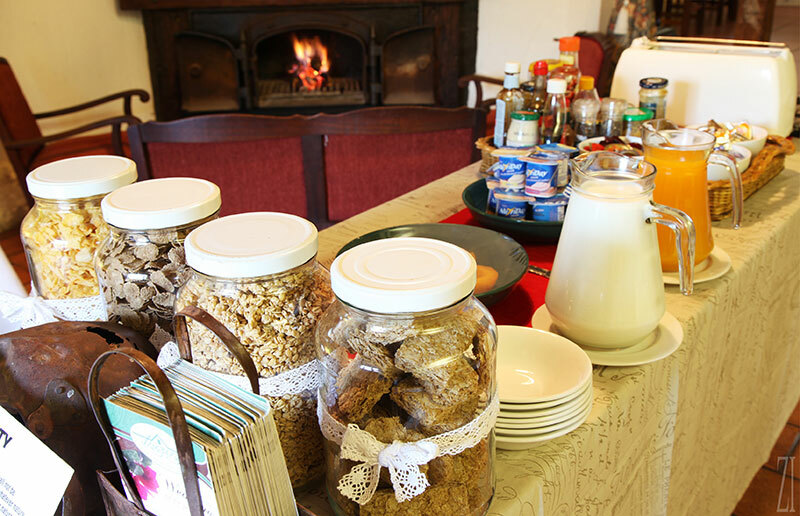 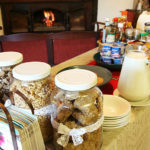 Langberg’s farm-style breakfast is served in our dining room daily and different dinner options or braai-packs are available on request. 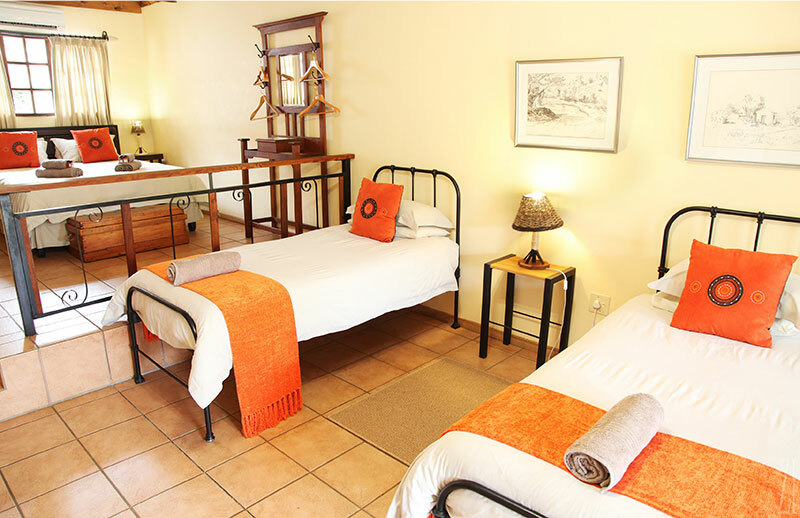 Safe and secure parking are available in front of the rooms. 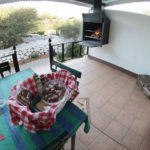 Langberg is fully licensed and guests can enjoy a drink on the verandah in the cool of the day or with a cold drink in our unique swimming pool in summer. 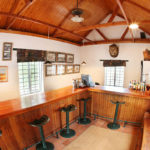 ‘Die Watergat’ or local pub (originally the old farm school) can be opened for groups on request – a treat with tall tales and lots of laughs. 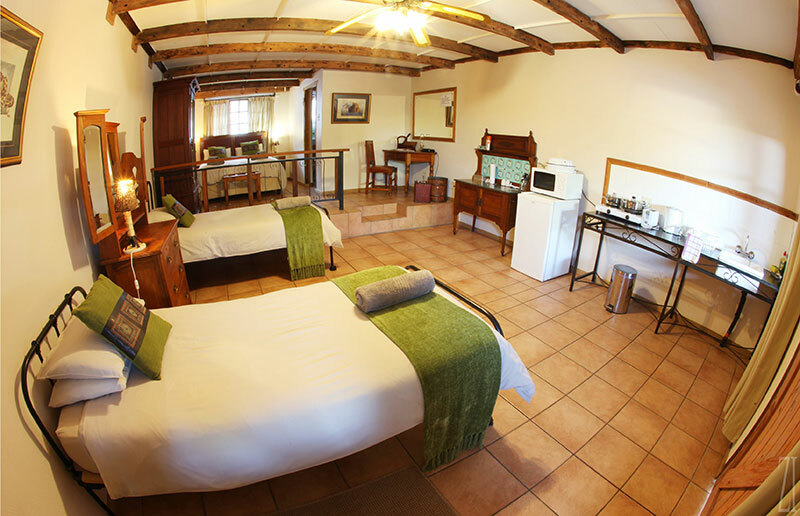 For the quieter at heart, we have a comfortable TV/Reading room where you can relax and forget all about the arduous journey or the hussle-and-bussle of city life. 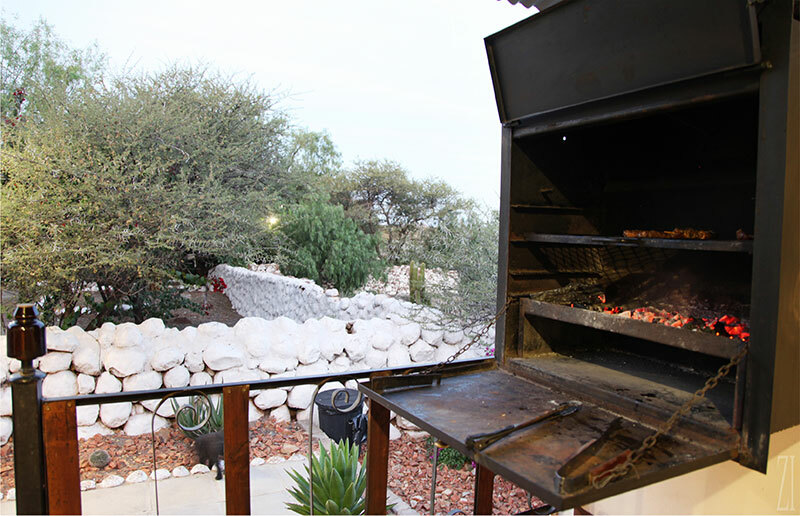 In the dry season we offer game feeding drives, a golden opportunity to take close-up pictures of Buffalo, Sable- and Roan antelope. 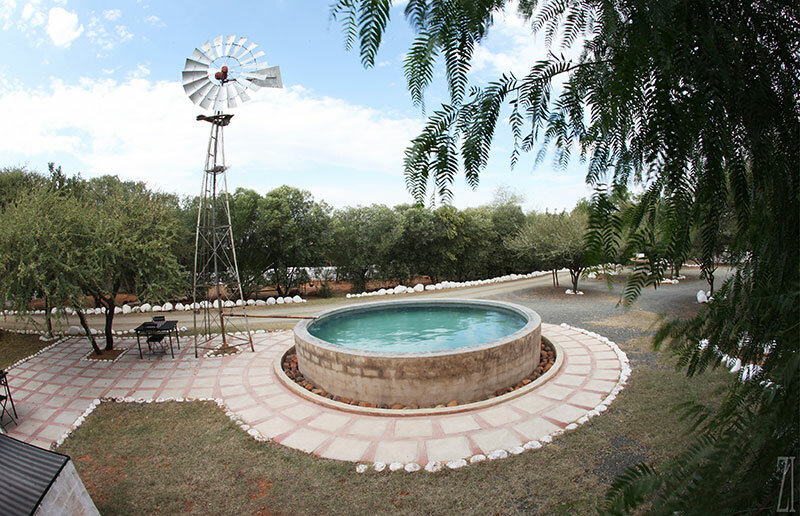 The kids can get rid of their cooped-up energy in our play area or run around and see Langberg’s feathered friends scrounging around for treats.